No need to toss your favorite bras if your band size has increased! 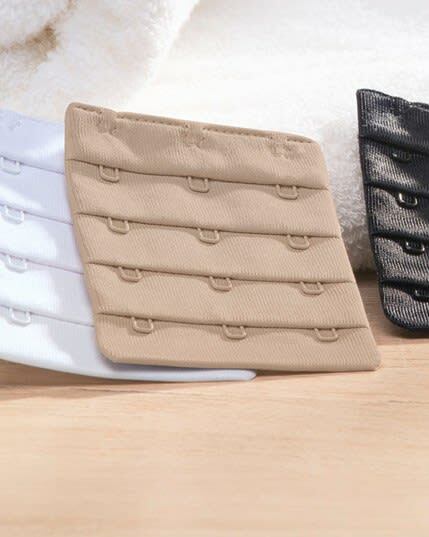 Easily hook on these extension hooks for 3-row back closure bras. Enjoy a 4-level adjustable closure for the comfiest fit. It's an inexpensive, quick-fix bra solution.